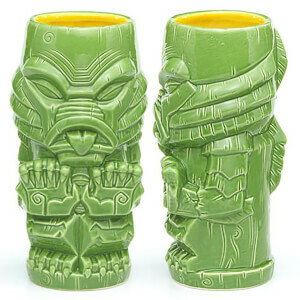 Now you can add Monsters to your Geeki Tikis® collection. 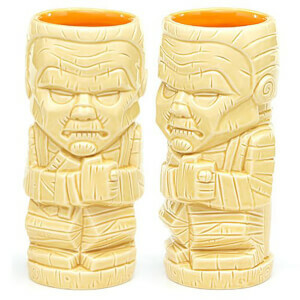 The creative, colorful drinkware products combine some of the worlds most-beloved Monster characters with the unique stylization seen in traditional tiki culture. Each ceramic Monsters Geeki Tikis® stand approximately 7” tall, is top-shelf dishwasher safe, microwaveable and boast a capacity of up to 20 ounces. Collect Frankenstein, Frankenstein's Bride, Dracula, Gill-Man, Tiki Tut and Wolfie.